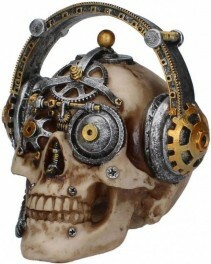 Ornamental steampunk designed skull. Very detailed. Made from a quality resin for a bone effect. 14 cm tall (5.5 inches). 15 cm long (6 inches).